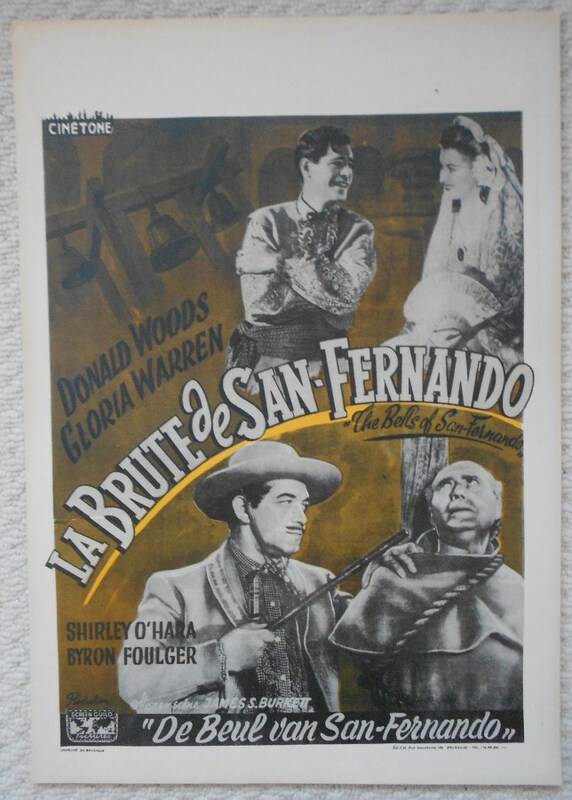 Original 1947 Belgian Film Poster from the film ' The Bells of San Fernando ' featuring Donald Woods and Gloria Warren. A beautiful example of a rare Belgian poster from this film. This poster is in Fine- condition and measures 19.5" x 13.75".